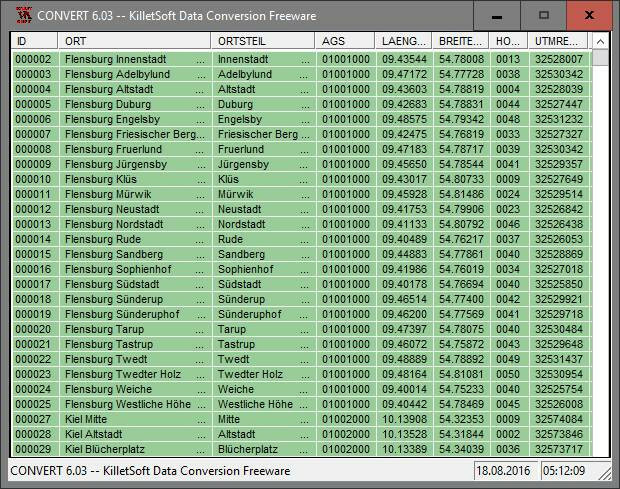 The database contain geodata of the Federal Republic of Germany with geo referenced towns, municipalities, town quarters, administrative units, postal codes, telephone preselections, nature areas, landscapes, climatic zones. 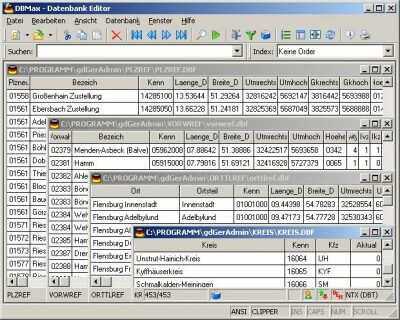 The data contain coordinates for navigation and geo-coding, proximity searches, distance computations and for mapping of landscape information. It is possible to assign a variety of nature and scenic information to each town. FrenchZip gives zip code, INSEE code, geographic coordinates of any town or village in France.